Business Summary: We are your Boston international moving company of choice for your next relocation across the United State of America and overseas. With everything you have to think about during your upcoming move, you shouldn’t have to worry about the actual move itself. You’ll be glad to know that Household Goods Moving is what we do best! We have a decade of moving and packaging service that will allow us to get your household goods and valuables safely to their destination and at a price you can afford. 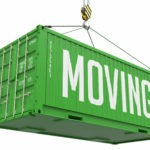 Business Summary: Boston International moving company Helping Boston small businesses and consumers with complete shipping options from whole-house moving to overnight document delivery. In addition to offering convenience by providing many office services under one roof. Business Summary: International Movers of Boston MA can help you ship your household goods overseas at some of the lowest rates in the area. We make international shipping and moving services fast and affordable. Neighborhood Parcel is trusted by corporations and residents around the world with the details of their international moving service. Business Summary: Neighborhood Parcel is trusted by corporations and residents around the world with the details of their international moving service. We know the regulations, requirements and the specifics of international moving. You get the global reach of Neighborhood Parcel with the local responsiveness of our licensees and partners.